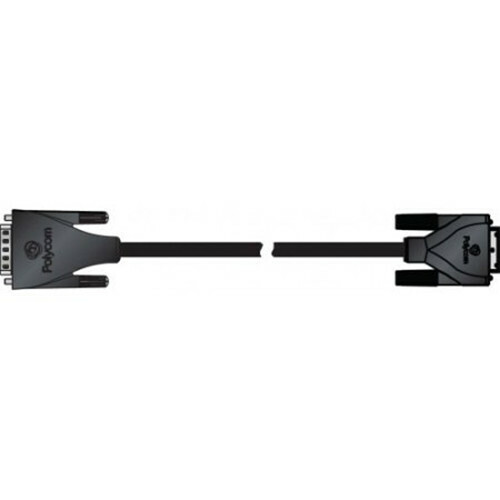 Polycom EagleEye IV 12″ Camera Cable mini-HDCI(M) to HDCI(M) for EagleEye IV cameras mini-HDCI(M) to HDCI(M). 300mm digital cable. Connects EagleEye IV cameras to EagleEye Producer or Group Series codec as main or secondary camera. CABLE – 300mm Camera Cable for EagleEye IV cameras mini-HDCI(M) to HDCI(M). 300mm digital cable. Connects EagleEye IV cameras to EagleEye Producer or Group Series codec as main or secondary camera.